A fullly planted tropical landscape awaits you. Three of the villas have private or semi private gardens and one an intricate Japanese style interior/exterior garden for contemplation. 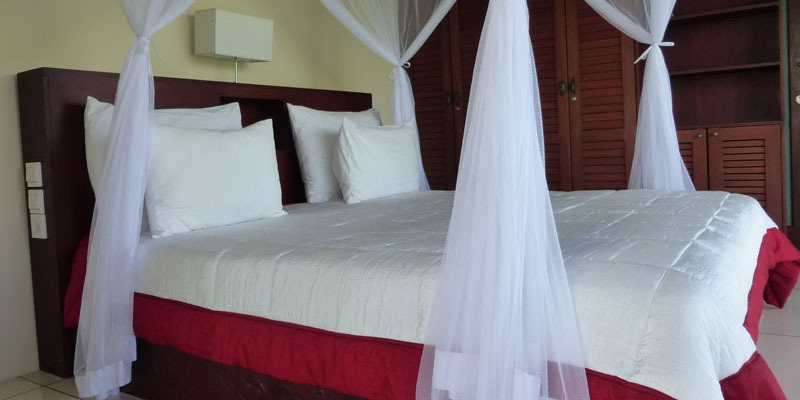 Designed to celebrate tropical sophistication, two bedroom. Asmara means "Romance" in the local language and this stunning retreat is the perfect love nest for a honeymoon couple or a single person seeking absolute privacy. 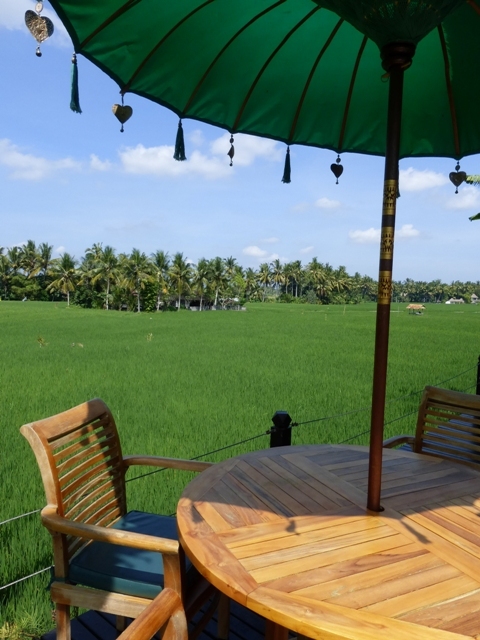 Our gorgeous 15 meter infinity pool overlooks the rice fields below. It’s an indescribable feeling to be in the pool and feeling like you are in the rice at the same time. Five beautiful luxury villas set on the edge of a gorgeous view. Cool rice fields, an infinity pool. 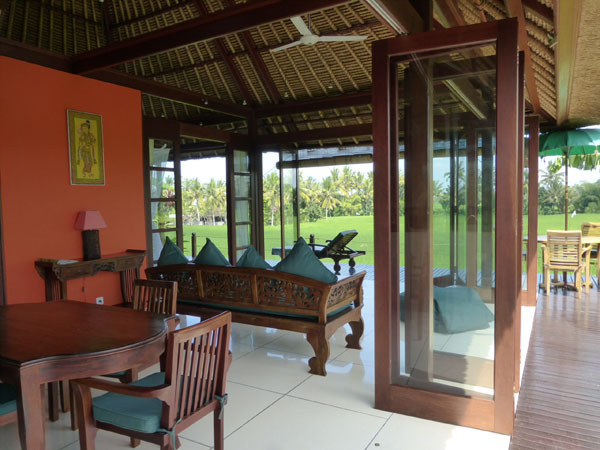 A quiet contemplative place to unwind, yet only minutes from the cultural capital of Bali - Ubud. Welcome to our world. There's lots to do at Harmony ... or nothing. At Harmony you can unwind, or rev up... it's up to you. We are here to assist you in making this the vacation of a lifetime. Our optional cooking classes are available for those who want to try their hand at mastering Balinese cuisine. The yoga deck beckons. Top notch massage by local professionals for soothing you even further. Learn local crafts, walk the rice fields, watch the temple ceremonies. Enjoy the rural charms of Lodtunduh village.